These accessories make a great addition to any soap purchase! Handgrown loofahs. Dried, bleached, and cut. Handgrown loofahs. Dried, bleached, and cut. Filled with approximately 4 oz. 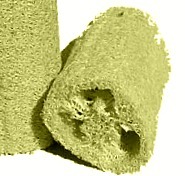 of our unscented soap for an "all-in-one" exfoliation treatment. Available in multiple colors. Mesh bags with a spring loaded stopper to open and close. Just slide in your soap and wash away. Great for everyday exfoliation. Allows you to get the most out of your soap! 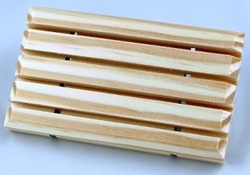 Wooden soap saving dish with beveled edges to allow water to completely drain away from your soap.